What's IOT Got To Do With Manufacturing? It’s a question that is obvious to some and more obscure to others. If you’re wondering what IoT is at all, let alone what it has to do with manufacturing, it’s time to get acquainted. The IoT, or Internet of Things, is the next development of internet connectivity, in which everyday objects — devices, buildings, vehicles, etc. — send and receive data to other objects, and it’s about to change everything. The term IoT was first coined at MIT in 1999 by Kevin Ashton and Sanjay Sarma to describe the development of a global network of objects connected by RFID tags. At the time Ashton and Sarma were making IoT history, I was doing something that MIT and the history books would find much less significant. I was 16, and on the weekends, my friends and I would play strategy games like War Craft (not WoW), Command & Conquer, Age of Empires and the occasional first-person shooter like Unreal Tournament — our FPS of choice. Because it was 1999, we didn’t have WiFi, and PCs didn’t seamlessly connect to the internet. We had a lot of latency or “lag” back then, and we tried everything to improve our experience. To be honest, we spent most of our time arguing over how the network should be setup. 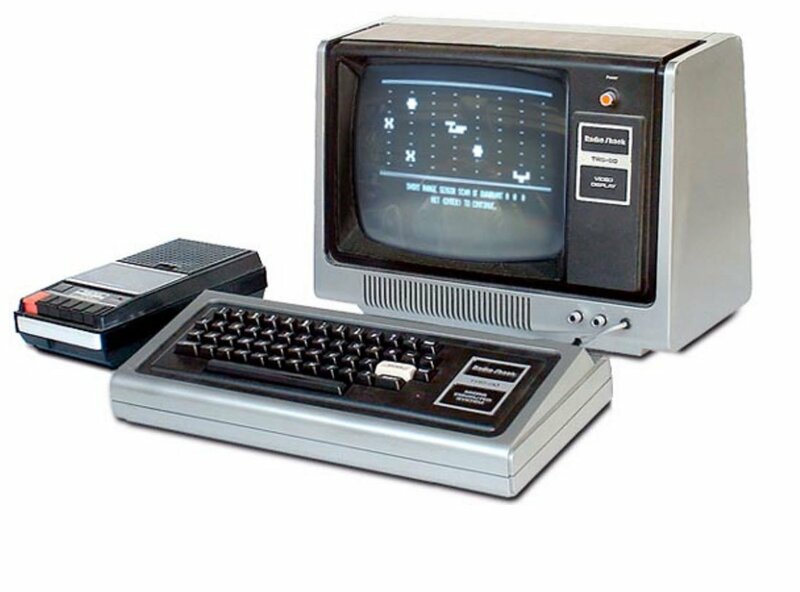 We were geeks, and we knew a bad LAN setup meant the difference between ultimate victory and utter defeat. As teenagers trying to game back in 1999, we experienced issues similar to those the manufacturing industry is experiencing now in 2016: How can I connect this to that? In short: How can I succeed? Manufacturing has gone from a Radio Shack TSR80 (image1) and single-axis machine tools (image2) to a Microsoft HoloLens (image3) and multi-axis, multi-tasking and multi-channel machine tools (image4) in a relatively short period of time. It’s an evolution that occurred without a standard way to communicate machine-to-machine. As a result, most manufacturers are like me and my friends when we were teens, cobbling devices together and settling for less. No. MTConnect is a set of open, royalty-free standards that foster greater interoperability between controls, devices and software applications. 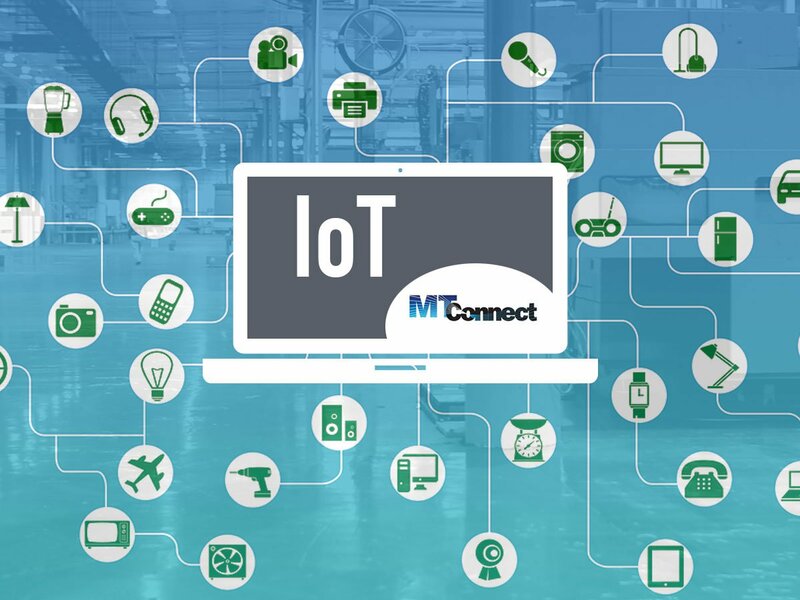 By publishing data over networks via the internet that are XML-, human- and machine-readable, MTConnect connects manufacturing equipment and manufacturers more wholistically. Most machine tools, including DMG Mori, Mazak, Okuma America, etc., now come with it pre-installed, which makes it easier for manufacturers to connect their machines to their machine monitoring software, whether ERP, MES, QMS or any other three-letter acronym business software system you’re using. I first “saw” MTConnect in 2008 at the Emerging Technology Center at IMTS in Chicago, IL. I knew immediately it was a technology our company desperately needed, and we have been involved as a member of MTConnect’s Technical Advisory Group working to continue development of the standard ever since. While it’s true that our people are our most valuable assets, as manufacturers, our machine tools run a close second. It only makes sense that we leverage the data they generate to make them even more efficient. Manufacturing has changed. Today when we manufacture an item, we are simultaneously creating and improving technology to make that item better. When we harness the information generated in connected machines, we add value to ourselves and our customers. Just by connecting their factory’s machines, most manufacturers increase utilization by 10 percent. So the next time you’re walking through your shop, don’t think of your machines as things that just create physical objects; think of them as things that can also generate data to make your job a little easier. For example, some of the IoT’s greatest potential within machining is in third-party integrations. Once your machines’ downtime is digitally tracked and automatically synced with a platform like MakeTime’s, you’ll be able to receive new job offers that are perfectly coordinated with machine availability. It’s a future where your shop will more or less run itself. Is your machine shop tapping into the Internet of Things? Learn more at MTConnect.org. You can also learn about how investing in digital manufacturing is a key characteristic of top performing shops in MakeTime’s upcoming webinar.